There are two words connected to Baccarat that will certainly pique your interest – James Bond. One of the oldest card games is also the super spy’s favourite. Now if you want to feel as cool as Mr. Bond, here is a quick guide to an entertaining and rewarding table-based game. The game is an interesting one in that you can bet on three possible outcomes. And that’s it. All you have to do is select one of the three outcomes and you win easy money on your bet. What makes the game even better is that the third outcome can be more or less omitted because it is a rare occurrence. 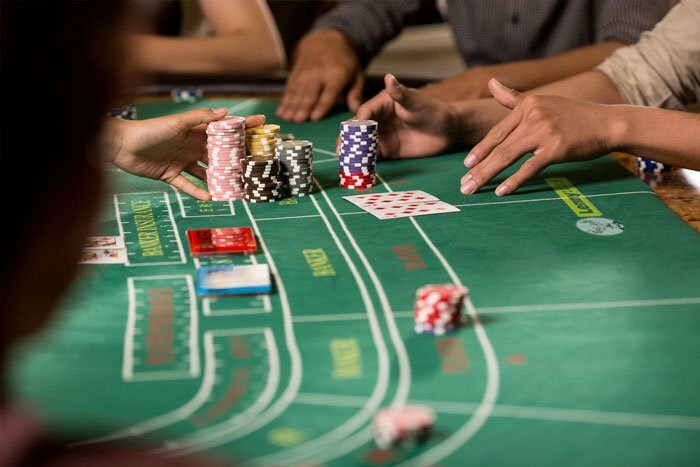 The two most possible outcomes of Baccarat are that the player wins or the dealer wins. The third option is that of a tie. The main objective of the game is to get as close to 9 points as possible without exceeding it. Two cards each are dealt to the player and to the banker. The side with the highest points wins. The exception here is that you can actually go until 18 points because the left digit, in this case 1, is then dropped. The scoring is exclusive to number cards, with face cards carrying no value at all. Baccarat is usually played with two cards, but a third card makes an appearance in special circumstances. If the player’s hand is 5 points or lower, they are dealt a third card. If the banker’s hand is 2 points or lower, then they too are dealt a third card. The banker, however, has a few more rules to contend with when it comes to the third card. Depending on the hand of the player, the banker may or may not have the luxury of a third card.